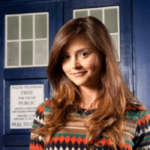 Doctor Who fans are in for a special treat with Jenna-Louise Coleman’s only announced UK appearance for 2013 and Billie Piper, one of the Doctor’s former assistants. Doctor Who fans can also meet Richard Franklin, Sheila Steafel, Bonnie Langford, Carole Ann Ford, Rachel Bell, Roberta Tovey, Neil McDermott and Jacqueline King. Other guests include Game of Thrones cast members Charles Dance, Alfie Allen, Ellie Kendrick, Gethin Anthony, Luke Barnes and Mark Stanley, X-Files icon Gillian Anderson and a host of Star Trek stars: Richard Poe, Duncan Regehr, Sonita Henry and Spice Williams. 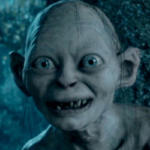 Lord of The Rings and Hobbit fans can also get their picture taken with Gollum in a professional photo studio and also meet Gimli, actor John Rhys-Davies. Collectormania takes place at the Milton Keynes Dons Stadium 25-27 May 2013 and both entrance and parking are free. Click here to check out the Collectormania website for more details of the event.